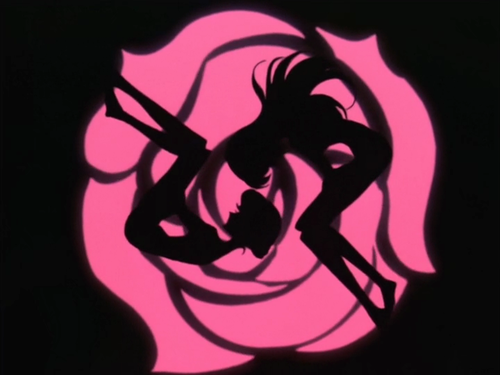 Revolutionary Girl Utena is, without a shadow of a doubt, my favorite anime of all time. As a teenager, I fell in love with it for its beauty, its surreal story, and Utena’s incredible strength. Unlike many of the anime I grew up watching, it withstood the test of time. As I’ve grown and learned, I’ve come to appreciate the show more and more. The densely layered symbolism, so impenetrable to me as a naïve 13-year-old, reveals itself to my older, wiser, and more socially conscious self. I’ve come to realize that Revolutionary Girl Utena is one of the most honest commentaries on gender roles and agency I’ve seen in any medium, from any country. So, you can expect to be seeing it on this blog a lot. The show starts with the Student Council Saga, the only part of the show that saw US release for a number of years. While it is generally considered the least interesting of the sagas, it nonetheless sets up the tone and major symbols of the show to come. We are introduced to Utena as a princess who, due to a childhood encounter, decides she’d rather be a prince. And, years later, it seems that she is not too far from succeeding – she’s beautiful, athletic, and adored by her peers, all while donning a distinctive boys’ uniform at the prestigious Ohtori Academy. But it’s not so easy to buck gender norms, which she learns when she meets the incredibly powerful student council, second only in authority to the mysterious End of the World, the pseudonym of Akio Ohtori, the school chairman. As the show wears on, and we learn more about the sinister forces behind the duels and Ohtori Academy as a whole, it becomes blatantly obvious that Akio is the embodiment of the patriarchy. But what of the student council members, his (mostly) hapless pawns in the dueling game? They were largely unaware of the true nature of their activities, as each one is deftly manipulated into maintaining the status quo, rather than revolutionizing the world, as they swear to in their speech. Just as most men go about their lives, unaware of the patriarchal systems of male privilege they benefit from and uphold. Each member of the Student Council represents an element of the patriarchy, so deeply instilled that they – and we – are rarely aware of it. Let’s blog about feminism heroically, let’s blog it with style!